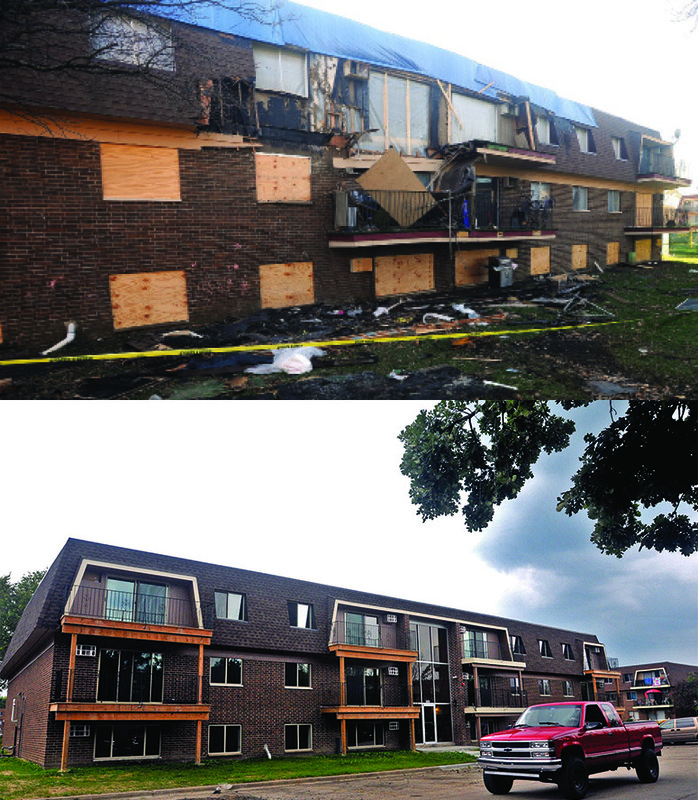 In November of 2012, a major fire in the Timber Lake apartments destroyed twenty-four units, displacing nearly a hundred residents—including thirty-six children. Those affected were quickly surrounded by fire and police departments, representatives of Timber Lake management and Red Cross workers, as well as volunteers and staff from Wheaton Bible Church and Iglesia del Pueblo and the Puente del Pueblo team. Within weeks, all affected families were resettled in other apartments, both within Timber Lake and elsewhere, and these former residents have been rebuilding their lives in their new settings. his purpose” (Romans 8:28, KJV) and “I can do all things through Christ who strengthens me” (Philippians 4:13, NKJV). 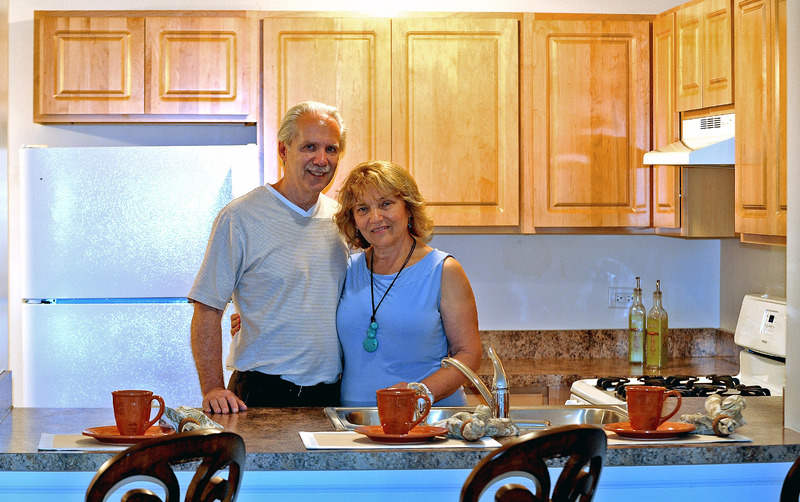 Timber Lake managers, Glen and Cornelia Mueller visit one of the brand-new kitchens. “Both verses proved to be true during this event. Many hands and hearts were involved with holding the hands of the ones in need. God’s strength became contagious. The love of God’s people was a testimony that touched not only the hearts of the residents affected by the fire but also the surrounding community and the West Chicago officials who were involved.